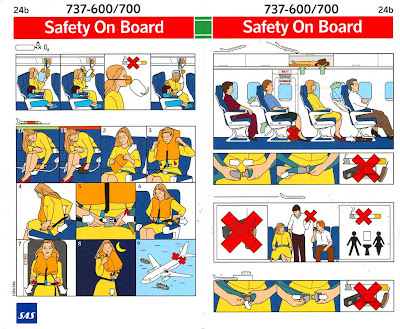 Each one shows a series of pictograms trying to explain how your seat cushion can also be used as a floatation device, and everything else the stewards and stewardesses talk about at the beginning of each flight. But all the ones I've seen thus far (which, admittedly, is not too many compared to the number that are out there) are phenomenally badly done. They're often illustrated poorly, and do an even worse job of communicating whatever ideas they're trying to convey. They only make sense at all if you actually listen to that spiel before take-off. Anyway, with the aforementioned travel, I've been picking up a few of these cards on my trips, and I'm trying to sort out exactly where they go wrong. Is it the "requirement" that they don't use words? Are the concepts too difficult to express visually? Are they just done by people unfamiliar and/or untrained with comics or infographics? I don't have too many samples to go through yet, and they're primarily from one airline, but I think it's another fascinatingly under-examined form of comics. 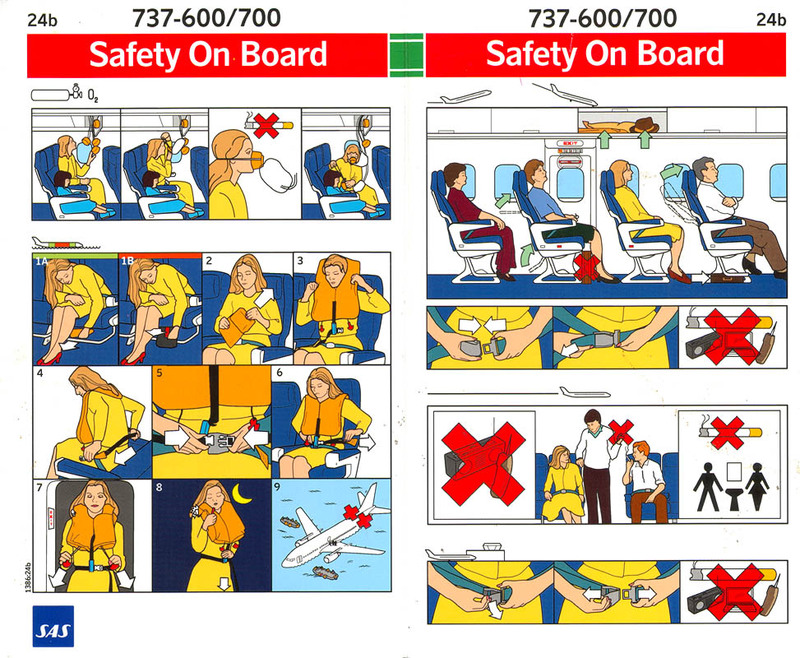 Something to think about the next time you find yourself in an airplane. The story really picks up after that one.